Rasmussen College hosted its second-annual Virtual Career Fair October 23, 2018. This free event presented students, alumni and community members with networking opportunities with more than 100 leading employers nationwide. The virtual platform offered job seekers and employers more flexible and efficient engagement opportunities to connect than traditional job fairs. In addition, participants could attend mini-preparatory, career-focused workshops and interact directly with Rasmussen College’s Career Services team, who was on-hand virtually to answer questions and provide career advice. 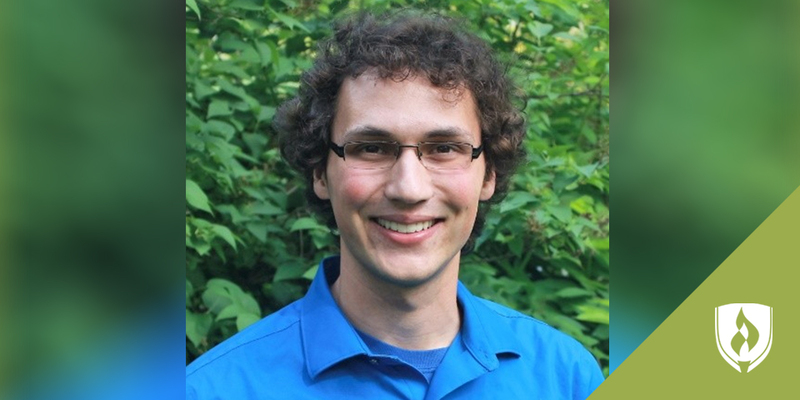 For one student in particular, this Virtual Career Fair opened a new door of possibility. 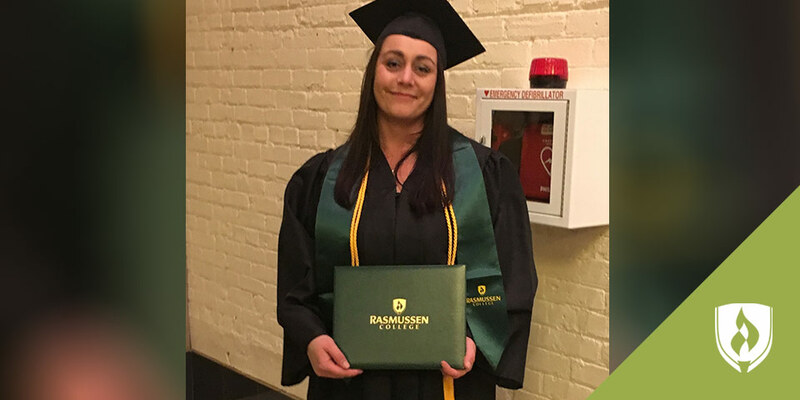 Cindy Mossberg, a standout student from the Rasmussen College Health Information Technician (HIT) Associate’s degree program at the Blaine campus, landed a position from the fair that fit her perfectly. Since switching programs, Mossberg was pleasantly surprised to hear about ongoing educational opportunities from her various faculty members. One of these opportunities was the possibility to attend and volunteer at the September 2018 American Health Information Management Association (AHIMA) National Convention. Mossberg heard about it the week before applications were due but was determined to apply, which is how she found herself in Miami for an all-expenses paid trip, attending the convention as a student volunteer. 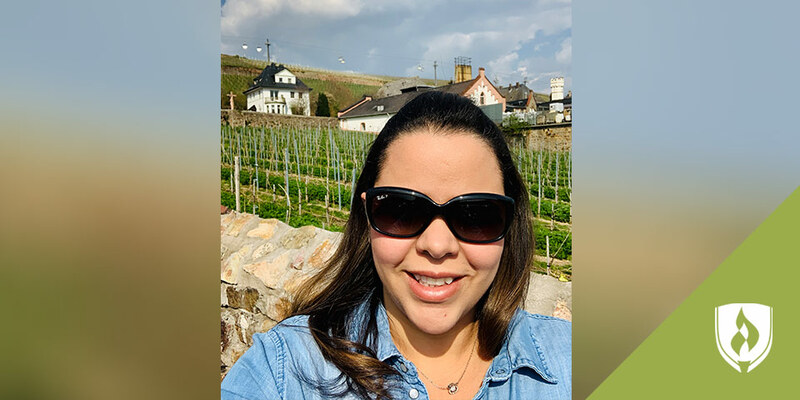 This provided her with the opportunity to learn about cutting-edge technologies and training methods, all while having the opportunity to network with industry professionals. One of her favorite experiences from the convention was getting to attend a mentor luncheon with Brad Justus from Himagine Solutions. He made an impact on the way Mossberg looked at future career opportunities. “He’s the one that got me thinking outside the box and made me realize my education and capabilities branch far beyond just HIT,” she says. If you or someone you know is interested in pursuing a degree in HIT, visit the Rasmussen College Health Information Technician page to learn more about the HIT Associate’s degree program. 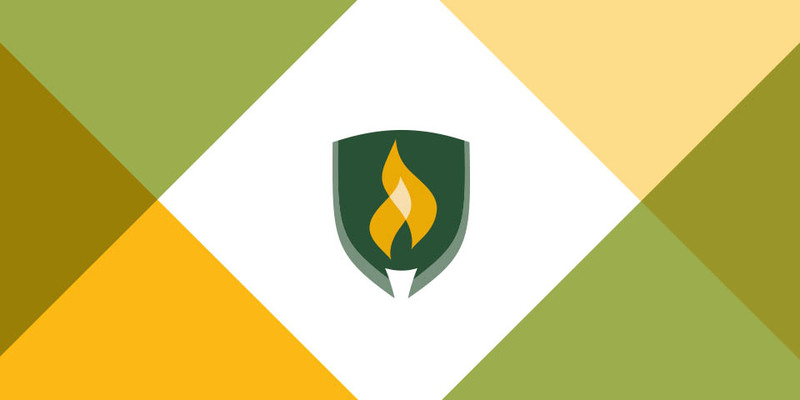 To explore more about the career resources Rasmussen College has to offer, check out the Career Services page. Kaila is a Communication and Brand Engagement Contractor at Collegis Education who specializes in public relations and social media efforts on behalf of Rasmussen College. She is passionate about writing and sharing inspiring content to help encourage people to pursue their educational and professional goals.